And if it goes according to the old saying, Spring might actually get here. But March roared in. In more ways than one. 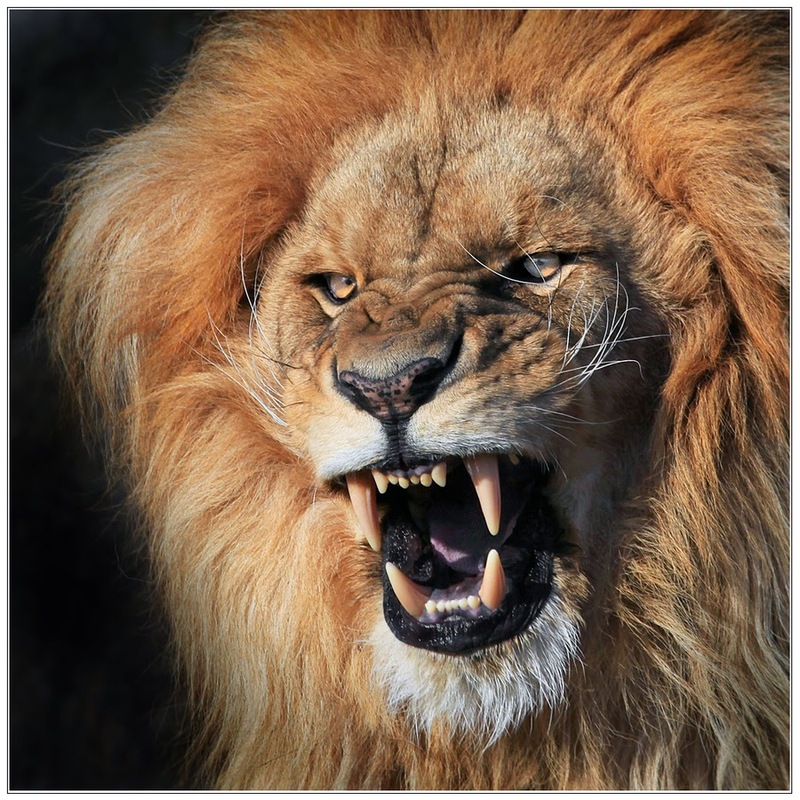 After finishing February with the most snow we’ve had for quite some time, setting new record low temperatures and braving the elements for the Mid Atlantic Quilt Fest let’s just say Not Forgotten QOV roared into March as well. and finished it off with the Mid Atlantic Quilt Fest we exceeded our expectations and goals that will provide us with a strong financial account with QOVF that will give us the base we need to support the needs of the many volunteers that make up Not Forgotten QOV and share in our quest as we contribute to the QOVF Mission. We need to acknowledge David and Pete Mancuso along with Scott Houston from Mancuso Show Management for their hospitality and generous contributions for allowing us to participate in their event. 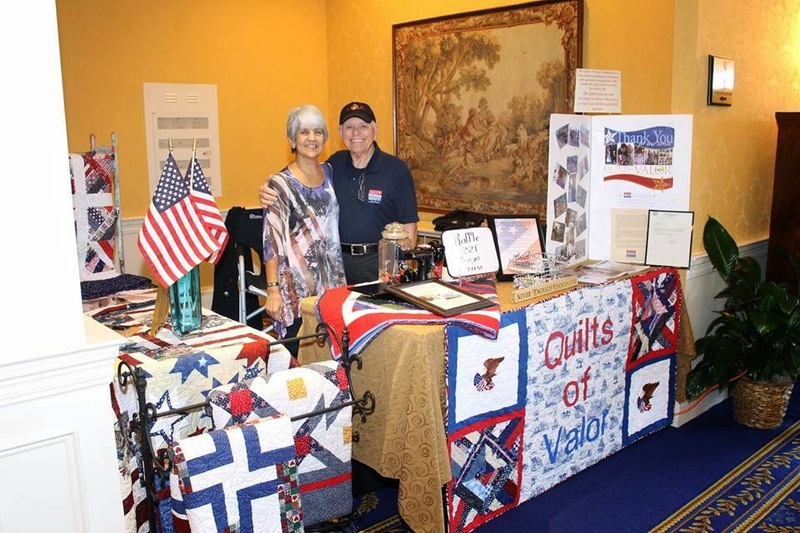 Equally we want to send out a big thanks to Valerie Schlake and the Virginia Longarm Network for providing us the opportunity to promote the Quilts of Valor Foundation at their annual longarmers event, Birds of a Feather. Everyone welcomed us with open arms and kindness. 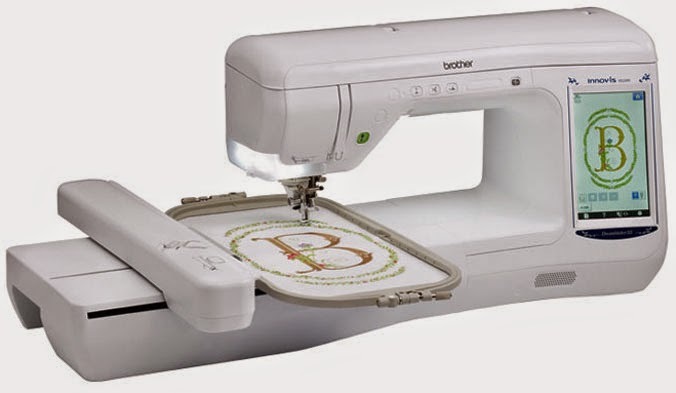 Seems to be a trend when you’re hanging out with folks associated with quilting. It just never seems to stop. briefly in our home. Elaine wasted no time in filling it. We passed Sugar on to Kathy W. the winner of the Featherweight Raffle. And as Sugar left a new Brother VE 2200 DreamMaker took his place. I guess Elaine just couldn’t live with only 21 machines. and Kathy W. couldn’t be happier. 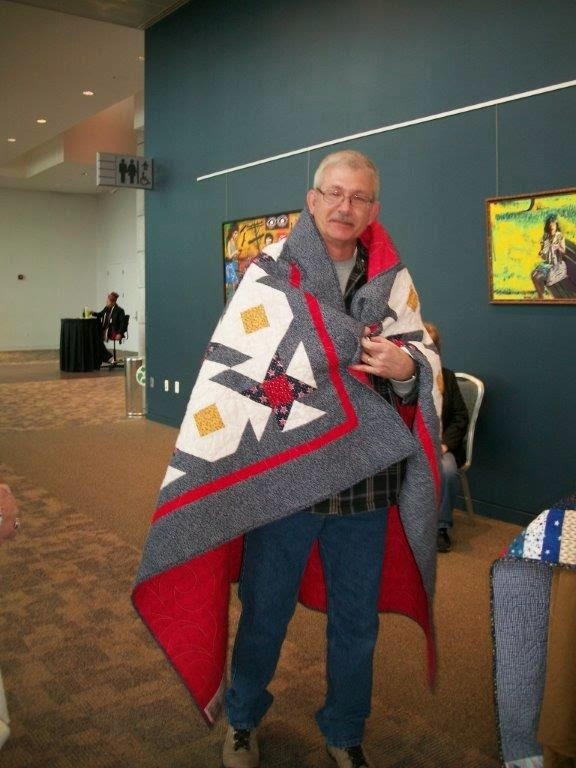 Mike also pulled the Raffle Quilt Winner, Mary S. from North Western Virginia. She was contacted by phone and you could feel her excitement over the phone. 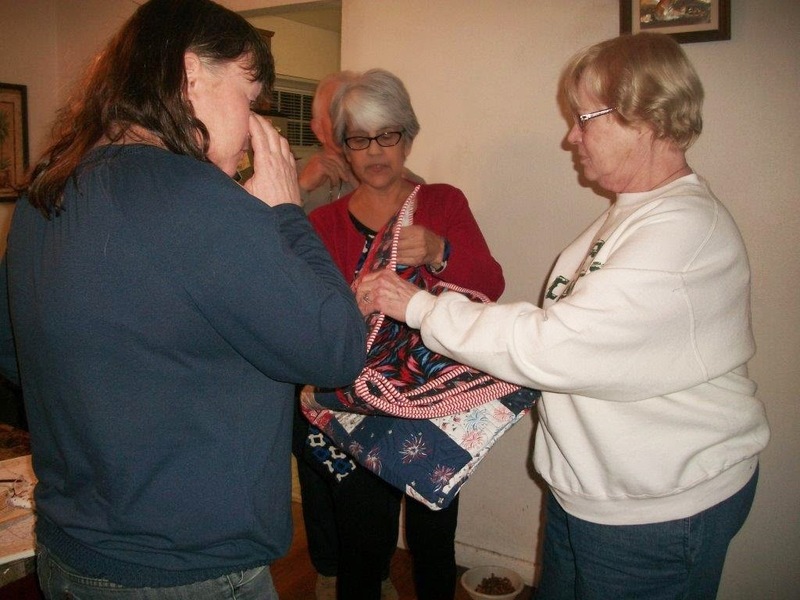 We will be shipping out her new quilt as soon as possible. Both events will always be great memories. Memories that will include the friendships of Marianne Elliott who came down from Maryland to help us with the Mid Atlantic. 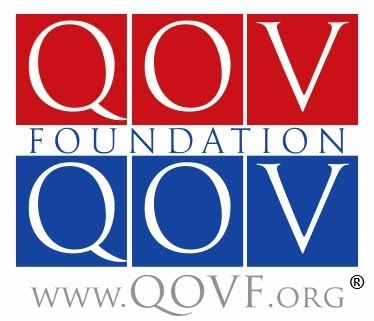 Be assured no small feat when you consider her schedule and work load as the Managing Editor for the QOVF Newsletter, Threads and a tireless Executive Staff Volunteer. 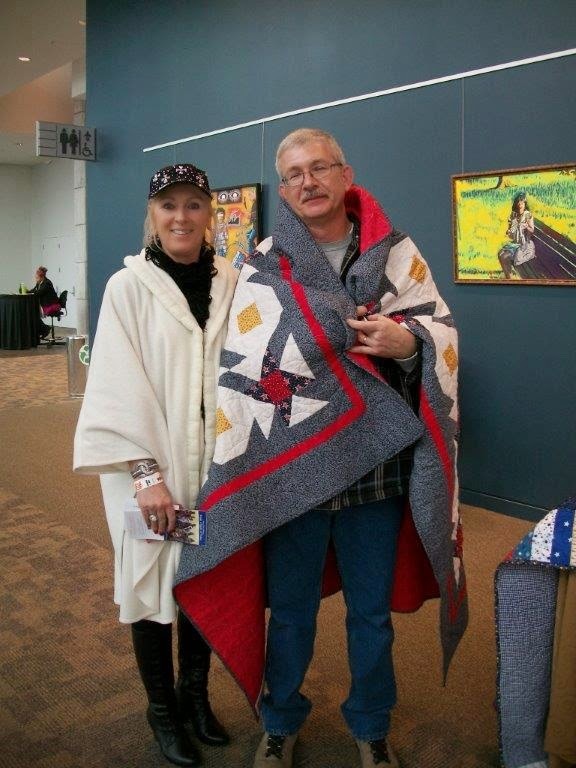 To Nancy Z. the crafter whose endless support to Not Forgotten QOV included making the Raffle Quilt and Susan G. who always finds time in her schedule to spend a day with us at the booth. 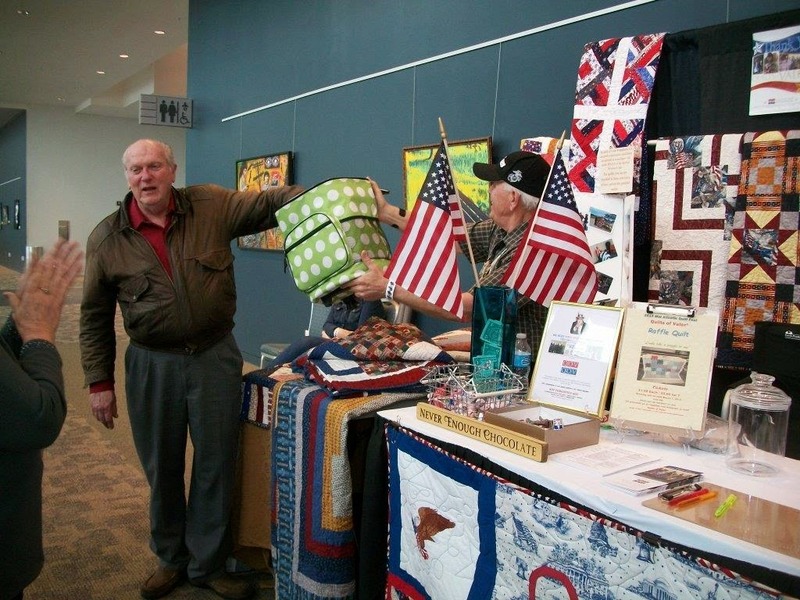 She just lights up the booth with her personality and the sincere joyous attitude and dedication to the Quilts of Valor. Not Forgotten QOV’s success is bolstered by their participation. Okay so you didn’t ask…But just in case someone does ask. Why do you QOV? Well let me tell you. 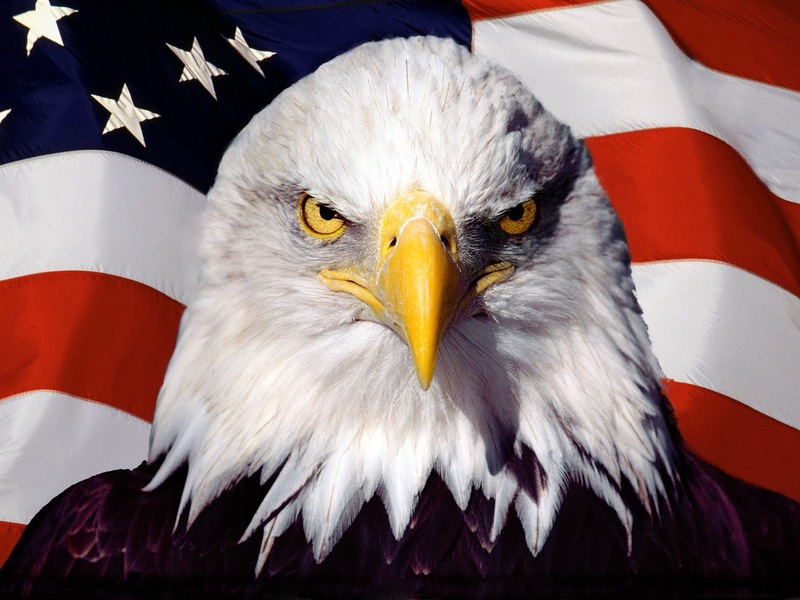 Because we will Never Forget. On Friday evening after our day at the Mid Atlantic we made a little stop on the way home. 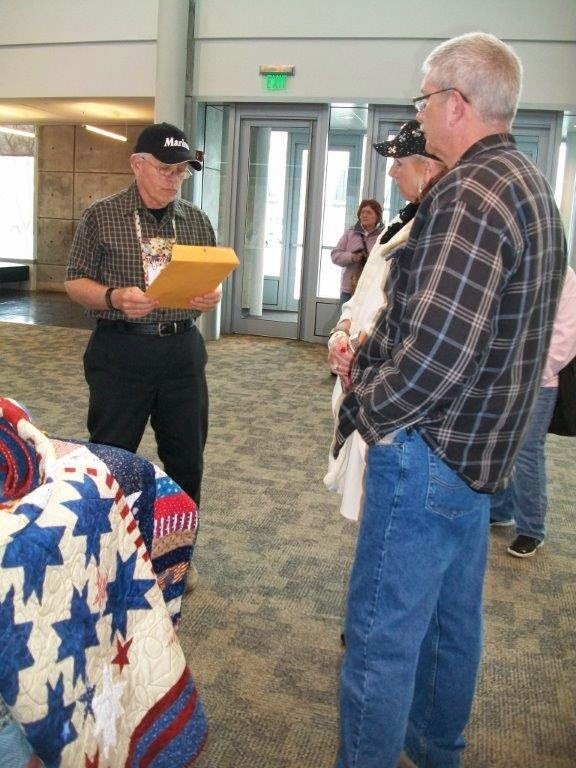 One of the QOV volunteers we shared a day with last November in Corning New York at the Southern Tier Quilts of Valor (STQOV) Marathon, Sandy V, ask if we could award a quilt she had made for her Navy career daughter when she was home here in Virginia Beach whenever that might be. Well it all came together this week end. 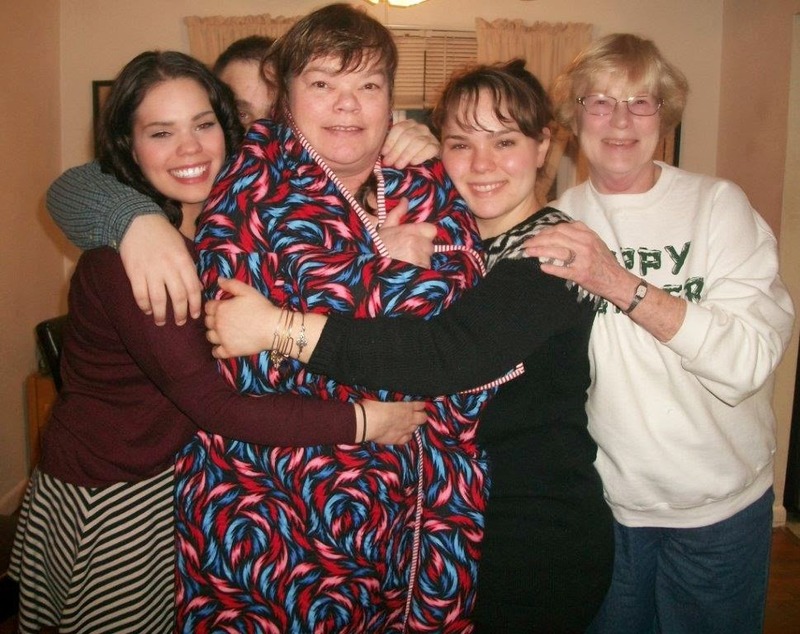 In the process of her career, which included Desert Storm, her daughter, Tammy K. raised three daughters as a single parent. 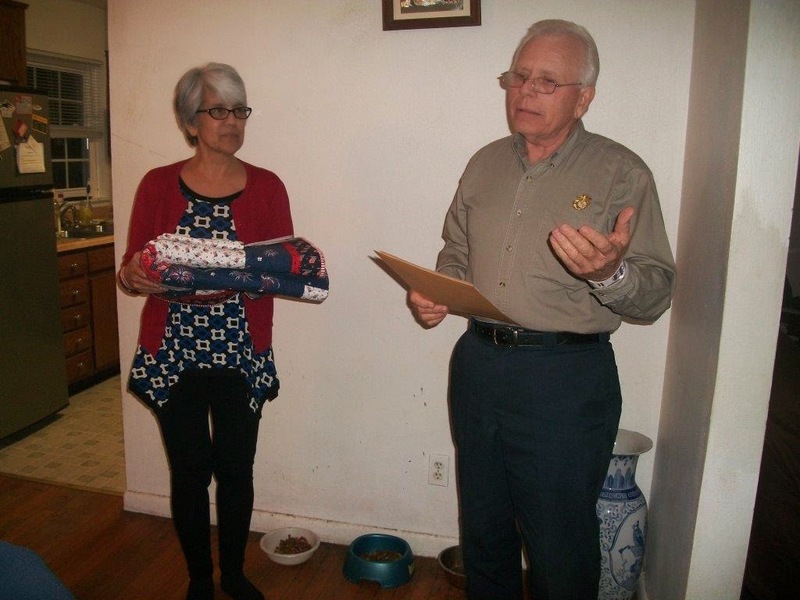 Sandy was able to get everyone together and we met up for the award. Tammy never saw it coming. Yes it was a tissue event. 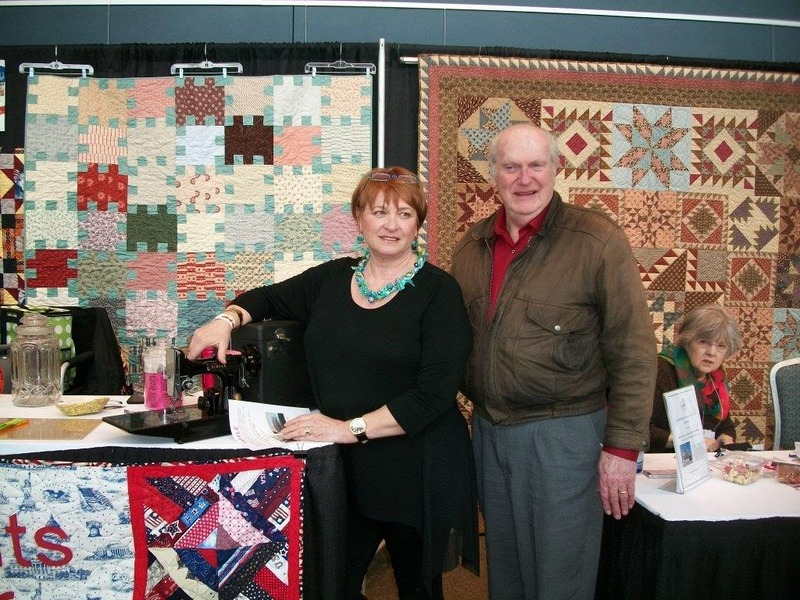 Then on Sunday we had a visit at the booth from Mr. and Mrs V. Well as it often is the case they had never heard of Quilts of Valor and as it turns out Vincent V. was retired Navy with 20+ years of service like Tammy. Mrs. V was very moved by what we did and asked. Well I took that as my cue. Of course we had QOV’s standing by. Vincent had never received a QOV. Well we took care of that as well. And yes it too required some tissue. Not for me you understand. I have a Marine Corps image to uphold. I use my sleeve. 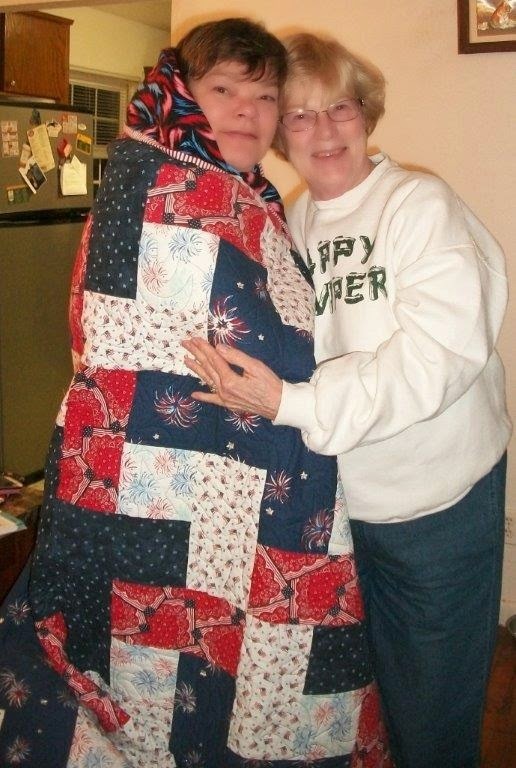 Elaine administering the "quilty hug." Vincent...thank you for your service and sacrifices. and that's how we do it Mrs. V.
So as the snow melts, the temperatures rise, although only slightly, we take the roar of March as a gift and hope the lamb shows itself as we head into Spring. 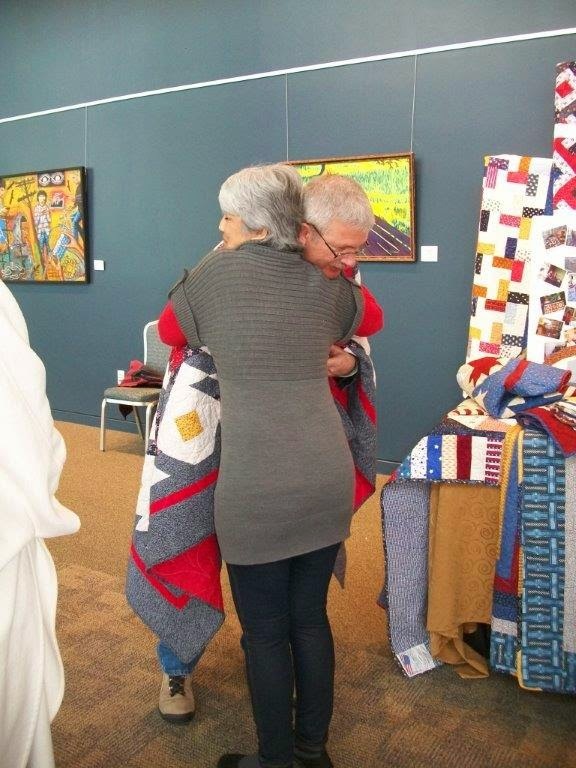 We are grateful for the success of both events, grateful for the Mother’s vision of Catherine Roberts and the work, unselfish dedication and commitment of the Quilts of Valor volunteers from coast to coast and country to country that keep this organization on course and on mission. Rest assured, each and every volunteer…that too is something we will Never Forget.